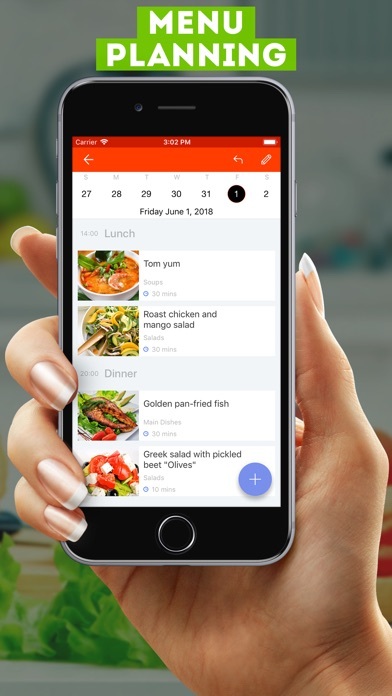 This recipe management tool combines meal planning, recipes cookbook, and shopping list into one single app. You can import recipes from anywhere on the web, or add your own recipes within recipe editor. All of your data can be synced between multiple devices using iCloud sync service. Recipe Management - Add your own recipes illustrating the process with step by step photos. - Save recipes from any web site using the built in browser. - Scale ingredients. Data Management - Sync between multiple devices using iCloud sync service. - Data is synced in the background automatically. - Backup your recipes collection locally or using Dropbox. - Auto backups in background. 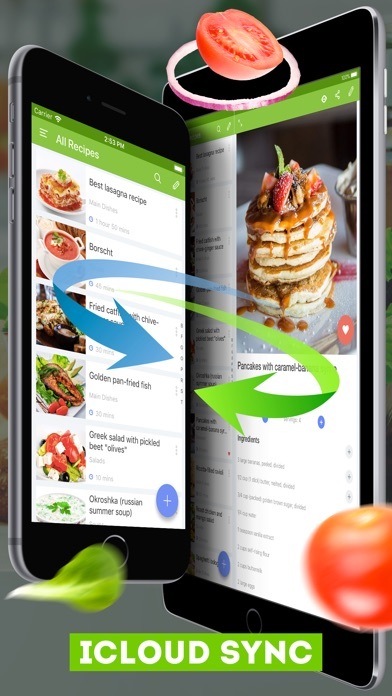 Search and Organise - Simple search will help you find needed recipe in seconds. 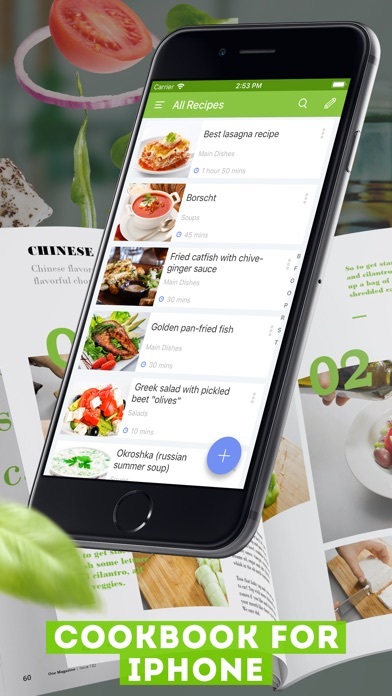 - Mark your favorite recipes to find them instantly. - Organise your collection using categories and tags. - Plan menu and be ready for the celebration or important events. Shopping List - Choose servings and get the right amount of ingredients automatically. 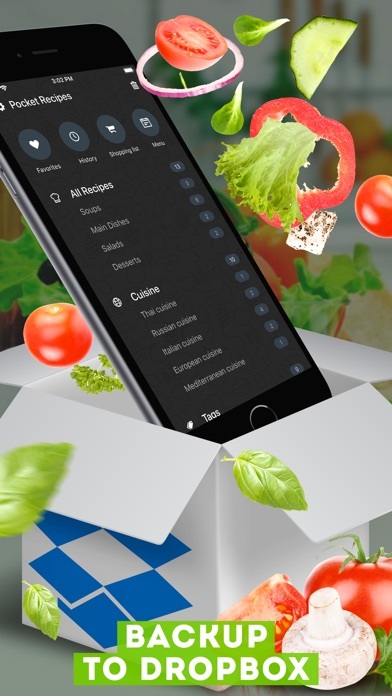 - Form a shopping list by ticking the ingredients in the recipes. 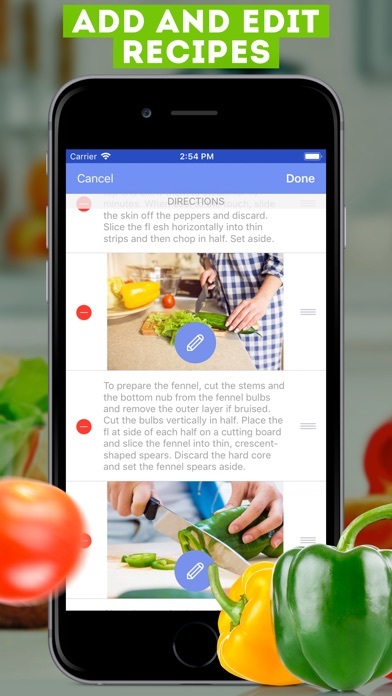 Share ideas - Share the recipes by e-mail out from the application. - Tap on the attached recipe in email and add it to your collection. Be prepared to come up with a brand new stunning recipe and surprise your friends and family! We hope that our application will help you with that!